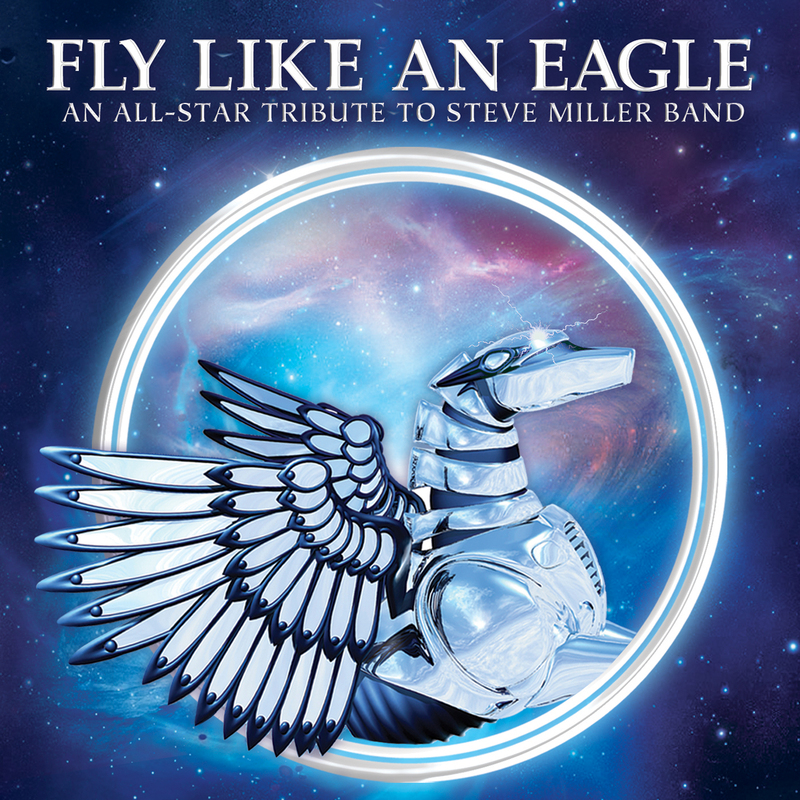 ‘Fly Like An Eagle – An All-Star Tribute To Steve Miller Band’ Featuring Members Of YES, Asia, XTC, Dream Theater, Survivor, The Tubes, Curved Air, Deep Purple, GONG, Nektar and Others Now Available! Featuring Peter Banks, Rick Wakeman, Tony Kaye, Colin Moulding, John Wetton, Steve Morse, Steve Hillage, Fee Waybill, Rod Argent, Sonja Kristina, Jordan Rudess, Steve Stevens and others! Los Angeles, CA – A whole host of space cowboys, gangsters of love and legendary music icons from around the globe gather together to pay special tribute to classic rock legends the Steve Miller Band! Now available on Purple Pyramid Records, ‘Fly Like An Eagle’ features performances by members of YES, Asia, XTC, Dream Theater, Survivor, The Tubes, Curved Air, Deep Purple, GONG, Nektar and others! With exciting renditions of Steve Millers’ classic hits, ‘Fly Like An Eagle – An All-Star Tribute To Steve Miller Band’ is sure to please music fans worldwide! Also includes some final recordings by guitar legend Peter Banks.